If the right wants to win the April 9 vote, it must end the infighting. If it does not, the Blue and White Party might beat Likud by a large margin, forcing the president to tap Benny Gantz as prime minister. (April 1, 2019 / JNS) The Israeli election campaign has reached its final stretch, but the great expectations that the media and the left had at its outset are now fading away. The pundits’ melancholy is clearly noticeable; even the fake polls that show momentum for the left can’t compensate for this sense of disappointment. The right has successfully driven home the notion that it would be irresponsible to let inexperienced hands lead the country. New drivers pay much higher insurance premiums, and Israeli voters are not keen on bearing this cost just so novice leaders can take the helm. If Israel was a normal country, the election would have been over last week, right after the it was revealed that Blue and White Chairman Benny Gantz’s now defunct startup company inked a deal with the Israel Police, in which the latter was to pay 50 million shekels ($14 million). The deal, the State Comptroller’s Office alleges, was based on false data. Likewise, the election should have been over as soon as it was revealed that the startup’s main investor was an oligarch who may be, according to U.S. intelligence officials, a Russian agent. But the media is in the tank for the left and has chosen to ignore this frightening revelation. Even though the media is trying to deflect attention from the serious issues at stake, it is important that voters on the right remember what they are: our continued hold on the Land of Israel; the settlement enterprise; continued economic growth; improving Israel’s standing on the world stage; bolstering Israel’s security while taking into account strategic considerations; the fusion of Judaism and democracy; and caring for the disadvantaged. All the candidates on the right must put their personal and partisan considerations aside so that they can grapple with the immense challenge in this election. Some of the parties on the right are in dire straits, with polls showing they may not even cross the electoral threshold. As a result, some right-wing candidates are desperately trying to get votes anywhere they can, making statements they may ultimately regret after the election. What’s worse, such statements lead to internal squabbling on the right. If the right wants to win and ensure our country’s future is in safe hands, it is high time for these fights to end. It is imperative that the right presents a united front against the Blue and White Party. If Likud wins big and the president taps Prime Minister Benjamin Netanyahu to form the next government, the relative size of each party on the right won’t matter. Alternatively, if Blue and White beats Likud by a significant margin, the president will tap Benny Gantz, but by then it would be too late to lament on the right’s self-destruction mechanism. The senior figures on the right must do the smart thing by joining forces before it’s too late. 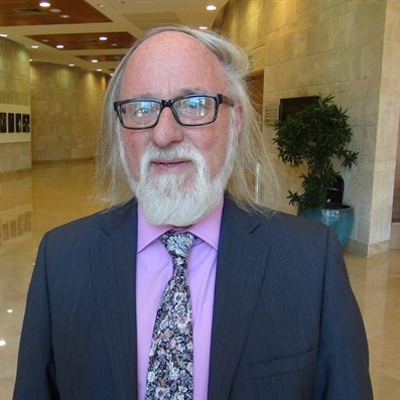 Dr. Haim Shine is a faculty member of Israel’s Academic Center of Law and Science, and a member of the Jewish Agency’s Board of Governors.